Battling Lyme is so exhausting, I have a couple friends who have it. It sounds like you got some good advice from this book so I will suggest it to them, thank you! Sorry to hear about your friends, Helen - you are right - the battle is exhausting, as well as the illness! I hope they find some useful information here, too. I have to admit I didn't expect to learn much after all these years, so I was pleasantly surprised. It's not a perfect book, but there are definitely some useful nuggets in it! I am passing this review onto a relative who is battling with chronic Lyme disease. Thank you. Oh, Anne - I didn't realize you had a family member with chronic Lyme, too! Sorry to hear that - I hope this book provides some answers. 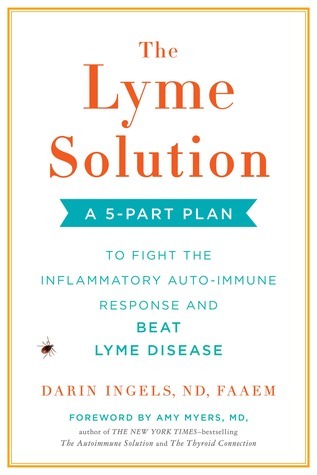 In addition to my immune disorder, I also write on my chronic illness blog about Lyme and other tick infections, so please feel free to give your family member my e-mail if they have any questions - we have learned a lot in the past 10+ years! I'm so sorry to hear you're dealing with chronic Lyme disease. It sounds tough! I'm glad this book was helpful and accurate though. I hope your new approach is still going well for you and your son.